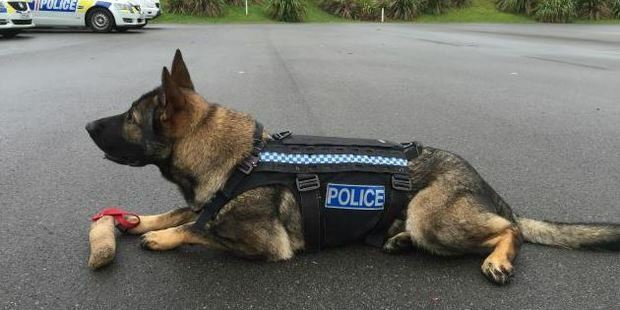 NZ Police Dogs Model The Stab-Proof Vests They'll Be Wearing From Now On! 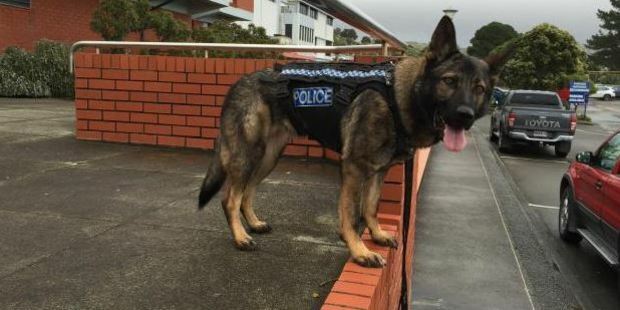 New Zealand's four-legged police recruits are about to get an extra layer of protection. Ten police patrol dogs will get their new stab-resistant harnesses this week, designed to shield the canines' vital organs from criminals' blades. The harnesses will also protect the dogs from rogue blows and kicks. This gives the dogs the same level of protection as their two-legged officers have while wearing stab-proof vests. Dogs based in Wellington, Palmerston North, Hamilton, New Plymouth, Nelson, Whangarei, Auckland, Christchurch, Rotorua and Tauranga will receive their new kit this week. The harnesses, designed by Hamilton-based Sabre Tactical NZ, weigh just over 1kg and are specially designed to allow the dogs' full movement. Another 120 harnesses are due to be issued soon and all police dogs will be harnessed within three months.